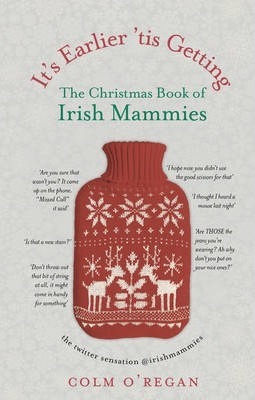 Christmas â€“ a time for peace, joy and Mammies. While others are focusing on Santa/Santy, the school nativity play, the office party and its wild cousin the Twelve Pubs, panicked present shopping and the delicate diplomacy of in-law visiting, the Irish Mammy is mobilized in her war-room â€“ ready for the campaign. Electric blankets have been set to maximum power; cards have been despatched; the turkey has been ordered; the decorations have been retrieved from the Place Where The Decorations Go and the fifth Big Shop (to get breadcrumbs) has been completed. There are homecomings from near and far, new arrivals, drama, bustle, tears and laughter, and Mammy at the heart of it all, directing operations. Thereâ€™s bound to be something sheâ€™s forgotten â€“ but luckily, just like a certain someone, sheâ€™s made a list.